Those who are familiar with the new Apple smartwatch will know that one of the big focal points for new technology is in healthcare. The “Health Kit” is already available, but now Apple is releasing its “Research Kit.” The information that is collected via their Apple watch Research Kit will be used by scientists and hospitals around the world to understand better a whole array of health issues, such as diabetes, breast cancer and asthma. Here, The Smart Phone Company provides some insight into the Apple Watch and its development into the Research Kit. The main thing that scientists are lacking, to help them in the understanding of diseases, is numbers. To be able to see patterns and trends, it is useful to have much data to compare, and this is where the Apple watch Research Kit comes into play. By being able to measure a number of variables from people all over the world, scientists and researches can have the information that they need at their fingertips. With the new Apple watch Research Kit, researchers will be able to design apps which, using existing Apple technology, allows them to gather data that previously was only available in the lab. It also gives Apple watch users the ability to check up on their own health and see correspondences between activity and diet, and their health. 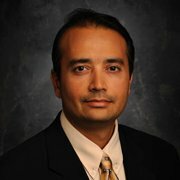 Tapan Mehta, global healthcare lead, Cisco, brings more than 15 years of healthcare information technology, marketing and business development leadership as Cisco’s global healthcare lead. Mehta is responsible for managing the development and marketing efforts for healthcare solutions including clinical workflow improvement, telemedicine, patient safety, regulatory requirements and EHR integration. Here he discusses the demand for telehealth, the changing role of hospital health IT, wearable technology and patient monitoring and what Cisco is doing to serve its healthcare clients. Tell me about Cisco and how it serves healthcare. At Cisco, we see the healthcare industry as ripe for technology disruption. After doing things the same way for years, we think technology can be the catalyst that brings positive changes to how care is delivered. Drawing from our experience as the worldwide networking leader, Cisco is well positioned to help improve the future of healthcare through networked technologies that transform how people connect, access and share information, and collaborate. New healthcare technologies, like those offered by Cisco, benefit everyone – from patients to providers, payers to life sciences organizations. What is your role, specifically, and what is the most challenging aspect of it? I have a global marketing role where my team is tasked to develop healthcare specific solutions, go-to-market strategy and field enablement, as well as serve as the “voice of the customer” by bringing the outside-in view to Cisco and its various business groups. Healthcare is at a very critical inflection point in the industry whereby there are several key underlying currents in areas such as mHealth, telehealth, data analytics, wearables, etc. While there are several interesting opportunities to pursue, what makes it difficult is to prioritize them as each segment has substantial market opportunity and growth prospects. What inspires you and does this translate to your leadership style? Healthcare is very personal. It touches everyone in the society in some shape or form. I have been in the healthcare space for the past 15 years and I am extremely fortunate that I am in an industry that is going to go through a transformational change over the next decade. Historically, healthcare has fundamentally lagged behind most industries when it comes to technology adoption, but I perceive that changing over the next several years. Healthcare “consumerism,” combined with government mandates around the globe, is going to force the industry to adopt technology if it truly wants to improve quality of patient care and workflows throughout the continuum of care. I am really excited to be part of this healthcare eco-system, whereby I can make a difference in how our customers do their business and more importantly how quality of patient care can be vastly improved. I’m not unique in that during this time of year I love to take a look at predictions made by some of the industry’s “best” and see if their predictions make sense, are surprising in a good way or if they are surprising in a stupid way. With that in mind, I came across an interesting piece in Canadian Manufacturing of all places that features several intriguing predictions by analyst firm Gartner that I think are worth a look here as they have peripheral relation to healthcare. In a market like healthcare, where highly skilled jobs are often difficult to fill, we should understand this prediction to be very true and one not to take too lightly. Some of these job vacancies will be at health system that needs the data to meet federal reporting requirements. The individuals with these skills will have a great deal of clout as they eventually move into the job market. BYOD continues to rear its head so don’t be caught unawares. AS Gartner predicts, you must have a plan for mobile device management and personal device use in the workplace. Ignorance is not bliss, in this case, and since employees are currently using their own devices in the healthcare setting where very important personal information can be exposed, develop a policy, stick with it and let your employees know you have one in place. Circulate it! Healthcare will play a role in how wearable electronics and traceable devices are used to track the health of individuals, especially in outpatient and in-home care. The data from these devices will flow directly into your EHR and become part of the patient record. Physicians will be forced to learn the benefits of these devices and patients are going to need to accept it. The prediction smacks of the ongoing discussion about the EHR vendor market and how much longer it can contain the number of players. Certainly, we’re seeing deterioration of this segment now, though it has been expected to erode more quickly than it has. 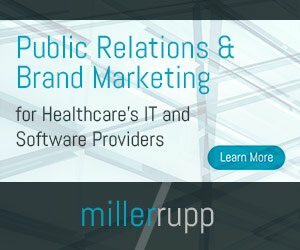 Expect there to be fewer EHR vendors in the next 12 months, and realize that no vendor is too big to fail (see Allscripts). Prepare early and do your due diligence before signing the dotted line. I’d love to know your thoughts. Do you agree with these predictions and my assessments? What are yours?